Q: The new year is here - and everyone wants to know your New Years blogging resolution! What are you going to try to revise, revamp, and redo for 2012 on your blog? There are a few things that I want to do with my blog next year. The first is that I want to be better at scheduling posts in advance. Usually I write posts just before I publish them, which is handy as far as stream of consciousness goes, but it can also put me behind if school becomes too busy. So I've bought a fabulously geeky calendar (alll about [scientific] elements!) that I've written out for January and the beginning of February. I'm hoping this puts me in the right frame of mind. I also would like to do more in-depth posts for things such as characters, favorites quotes, and cover trend discussion (girls in dresses!). Because I'm so interested in dystopia, I think I'm going to start a series discussing the genre further as a whole. These types of posts are ones I'm rather looking forward to. Those are the big ones, I think! What about you guys? For the past seven years, Cam has been defined by her cancer. Hospitals, treatments, holistic trips her mother hears of to heal her. She met her best friend, Lily, at a summer camp for kids with cancer. Her rebellious and carefree personality, affected by repeatedly hearing that she's getting worse and not better. Growing up in Orlando, living, breathing, and working at Disney World, she's used to a sugar-coated world that's not quite what it seems. And then her mother packs Cam and her sister, Perry, up for a move to Promise, Maine. Promise, a place where miracles happen. But can Cam believe in miracles? This book will break your heart and make you laugh at the same time. 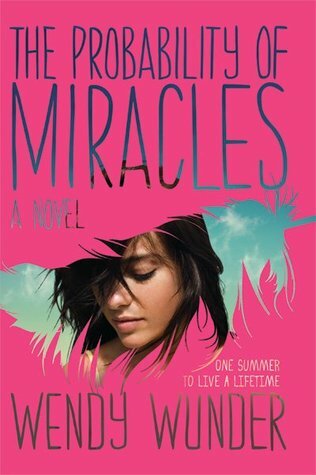 Reading a book about someone so young with cancer is devastating, yet there's hope. Hope that Cam will be able to cross some items off of her Flamingo List, hope that maybe there's something to the idea of getting out of Florida and into an entirely fresh environment. Cam's easygoing sister, Perry, makes friends right off the bat while Cam is content to sit inside, bundled against the cooler Maine summer, and watch old movies. The setting, for Cam, is strange and slightly too perfect in a way that completely differs from Orlando - here the people and places are real, and perhaps that's what eventually sparks her interest. She's trading one definition of 'real' for another, but this time she can interact with the denizens. I really enjoyed Cam as a character mainly because I can identify with her dry humor and healthy sense of sarcasm. While I think that some of that stems from before her diagnosis, a lot of it seems to be a defense mechanism that's evolved from her cancer. She simply doesn't have the time, she thinks, so where is the point in dressing up her words? My favorite thing about her is the view she had regarding her Flamingo List. Originally seemingly willing to do whatever necessary to cross items off, she finds that perhaps some things aren't as important as they once seemed. And others? Well, they crop up unexpectedly. Cam meets Asher in Promise, who is a local going back generations. Though Asher is charismatic and well-known, his interactions in Cam's life becomes an interesting side story that meshes well with her own. Though Perry is the outgoing child, Cam fails to realise the impact that she has on people's lives. Impulsive, thoughtful, and honest, her decisions have a far-reaching impact that she only begins to see after the fact. Asher believes that Promise is his future and can see no other option. Cam knows when not to agree so easily. Toss in Cam's mother Alicia, and a cast of characters from both Orlando and Promise and you've got a memorable cast for a memorable summer. The Probability of Miracles may not be an easy read, but it's one that I can heartily recommend. From flamingos to pet lobsters to mistakes and realisations, this is a book full of heart and courage and hints that decisions may not come so readily, but that there is a possibility of miracles. that showcases much anticipated upcoming releases. One of the things that's most appealing to me here is Ember's age paired with the fact that it mentions that she's old enough to know a different time, indicating that this is in the beginning era of a dystopian government. 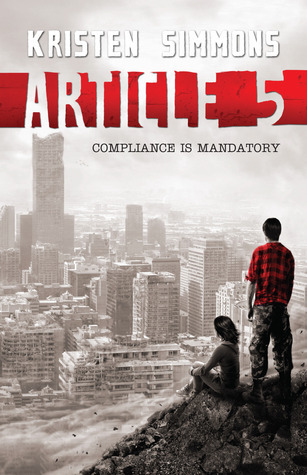 Aside from a good dystopian (and characters), what I love the most about a book is a great set-up. I love knowing the inner workings of something, and that sort of before-and-after comparison. Getting to know the why behind the what makes me ridiculously happy. 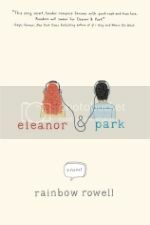 I've been staring at this one on my Goodreads list forever now and am sort of thrilled that the release date is so soon! and wracking your brain for answers, then this is the meme for you! 01. The Scorpio Races by Maggie Stiefvater (r): I've talked a lot about this book, but there's so many reasons that I love it. The topics (water, horses), the writing (her writing methodology, descriptions, and characters inspire my writing), and the package as a whole. Sean Kendrick is a favorite. 03. Daughter of Smoke and Bone by Laini Taylor (r): This book is perfect. Karou is such a strong female character, but not in a way that ignores emotional reactions as can be generalised in fiction. Everything in this book meshes together in such a cohesive yet totally unpredictable way that I remain in awe of Laini's imagination and skill. 04. Unwind by Neal Shusterman (r): Everyone needs to read this book. Neal has a way of humanising his books (and characters) in just the right way that hits somewhere inside of you and leaves a lasting imprint. I will never forget this story. 05. Stay by Deb Caletti (r): While this is a book about the development of an abusive relationship and its aftermath, the way everything builds up and its aftermath is handled so realistically that I had to shake my head every now and again and pull myself out of the story. Another one where the stylistic writing really makes everything else. 06. Ultraviolet by R.J. Anderson (r): Though this book has a personal meaning for me, the story itself stands on its own two feet and offers an unpredictable story with an ending I would never have guessed. A bit of fresh air. 07. Divergent by Veronica Roth: Although I still haven't written a review for this one (I plan on re-reading and doing so over winter break), I loved it. I loved Tris and I loved learning about a Chicago I've never been to and, hopefully, never will go to. The action, the growth, the character interaction - I liked everything about it. 08. Shatter Me by Tahereh Mafi (r): The writing here was absolutely fantastic for me. I know that it won't work for everyone, but it really showcased to me that different styles can work if they're polished and supported by a great story and characterisation. While reading I kept on taking pictures of the book with my phone to remember passages that stood out to me. 09. Variant by Robison Wells (r): A boarding school story with a wicked twist right off the bat, and where the twists kept on coming. I had no idea what was going on in places, but the mystery actually worked in favor as the reader is more and more able to figure things out while the author surprises you with other things. And that ending! 10. Anna and the French Kiss by Stephanie Perkins: I read both Anna and Lola this year, and I'd held off on reading Anna solely due to the title and the cover. I couldn't get past it, but then I finally read it and absolutely fell in love with everything about it. My advice for this would be: don't have the same title bias that I did because this one will blow you away. Bruiser by Neal Shusterman: Amazing. I couldn't truly love Unwind because of its subject matter, but I loved this one. Like most of this books, I haven't read something quite like this and it hits you in an unexpected way. 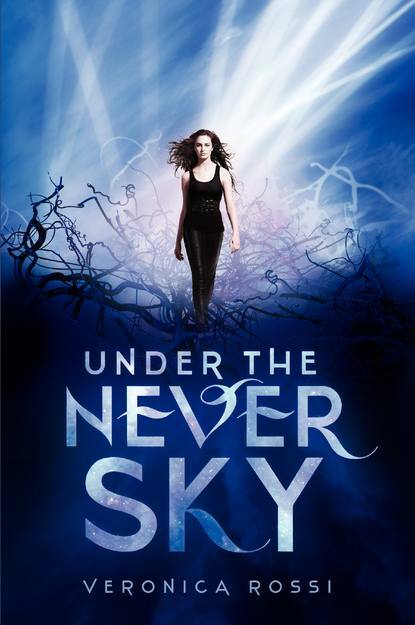 Under the Never Sky by Veronica Rossi (r): Aria, Perry, and a cast of fabulous secondary characters with a mysterious post-apocalyptic background make this book a treat to read. The Near Witch by Victoria Schwab (r): Another book where the writing is lyrical, creating a world that you have to blink a few times to step back from. This is one I'd recommend reading in one go - the uninterrupted descriptions and setting make this story even more engrossing. Q: If you had to spend eternity inside the pages of a book, which book would you choose and why? I have to thank and give kudos to J.K. Rowling for creating a place where I would happily live forever. I think I'd have to borrow Hermione's Time-Tuner because in order to really experience that world I think you need to start from the bottom up, which means the whole moment of receiving your Hogwarts letter, riding the Hogwarts Express, taking the boat with Hagrid - these things create such a vivid foundation for the rest of your life there. I'm trying to think of realistic longevity here; as much as I love The Hunger Games and The Scorpio Races, I can't see myself there for eternity. Too dangerous or teeny for me. So I'd have to say I'd also probably choose to be an Outsider in Under the Never Sky. I'd have a bit of Aria's adjustment period, but I think I could absolutely get used to living with nature like Perry does. I love wrapping my mind around the idea of it. Eternity is an awfully long time. Where would you go? Note: The above summary is taken from HarperTeen directly as I feel the Goodreads one is too lengthy, and gives too much away. The people who survive live in pods, Dwellers, spending the majority of their time visiting virtual realms to escape the redundancy of never being able to travel. Aria, having accepted a risk in order to find out information about the whereabouts of her mother, decides to explore abandoned pods with a group of friends. One thing leads to another and her risk turned into an adventure that she could have never been prepared for. Life outside the pod is vivid, visceral and nothing like the realms depicted. Angry with herself, the people who shunned her, and the Outsiders she has to deal with in order to survive, Aria comes to realise there's more than one definition to life. I really enjoyed this book for a handful of reasons. The biggest one being Veronica Rossi's skill in world-building. This just as easily could have been a book that you've felt you've read before a thousand times with tropes here (post-apocalyptic pod living) and there (insider/outsider). For the first 20 or so pages I was uneasy, wondering where it was going. But there was just the right amount of information in the right spots that enables the reader to make educated guesses about the rest, and just enough not to throw them off or want to put the book down. Secondly is characterisation. Characters, for me, are the most important bit of a story. If I can't love the characters, or if they can't make me believe in them, then it's difficult for everything else to shine. I wasn't sure about Aria at first - she was sullen and angry and I was having a hard time reconciling her dislike for the outside that's inherent from having lived inside all your life. Then she would make these small movements that really allowed me to feel as if she were exploring nature for the first time. The realms could never depict the variety and striations of mineral rocks, so Aria is enamored with the sheer amount of possibility that the environment produces. She asks about snow and clouds and flowers, all things she's never been able to experience. Truthfully, I hadn't expected her to endear herself to me as much as she had, but nothing about her exploration seemed forced which made the entire story work. Aria's traveling companion is Perry, an Outsider. There's very little interaction between Dwellers and Outsiders and so there is little trust between the two, each skeptical of each other's intentions and way of living. Perry isn't the broody, lean-y type with arched eyebrows. He's quiet and blunt and completely unsure of the situation. Perry has his goals, which happen to coincide with Aria's for a period, and so they're able to help each other. Time breaks down stereotypes and the interactions between them become more easy and honest. I had a difficult time getting these two out of my head after I finished the book. Their story wasn't effortless, but instead came with push and pull at a natural pace with a result that made me fall in love with their ease and sense of comfort. One of the things I liked most is that the secondary characters were also really well-developed even for the short amount of time that some of them were seen. Fleshed out and real, they helped to describe Aria and Perry more than the two did themselves and it enabled me to understand the situation from a different light. Under the Never Sky is a post-apocalyptic story that works because of its characters and swift storytelling that helps you get lost in the setting. I didn't realise it was a series until I finished it, but these are people I can't wait to know more about. This has the promise to be a powerful book. Thankfully, the early reviews are fantastic, as I feel that tackling a subject like this will fall on one end of the spectrum - either it's great, or it tries hard to be great. I like the monochrome cover depicting shades of grey, with the red for the title, almost like it's Quinn's own personal scarlet letter. Lately I've been really interested in good contemps, and so I'm excited about this one. 02. 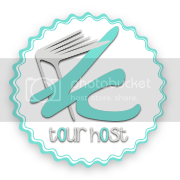 The Scorpio Races by Maggie Stiefvater: You might say, why kaye, you already have this book! And to that I'd nod, but emphasize just how much I absolutely adore it. 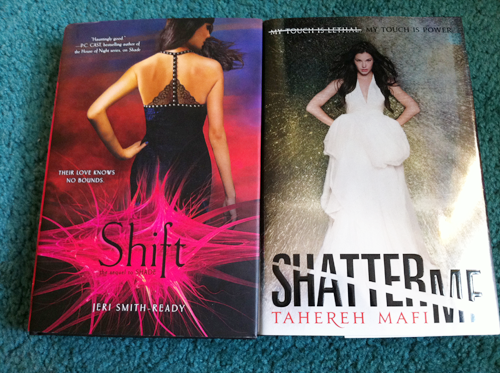 We might have to have quote time soon, and I'd pick a lot from this (and Shatter Me). 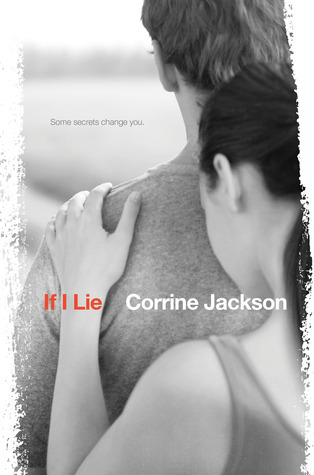 In any case, I love the UK cover and would love to have a copy of it. 03. Legend by Marie Lu: This is the book I'd promise myself I could would purchase after finals. Well, my last exam is in January, but there's no way I'm waiting until then. It's dystopian. I'm thrilled. 04. The Statistical Probability of Love at First Sight by Jennifer E. Smith: Aside from dreams of Insurgent ARCs, this is a book that I have been dying to read. I love airports. I love the title. I love the possibility of it. My heart gets all warm with the thought. I'm allowed one unrealistic choice, right? 05. Between Shades of Grey by Ruta Sepetys: This is one I've been meaning to read for months and the book stars never aligned properly for me to do so. 06. 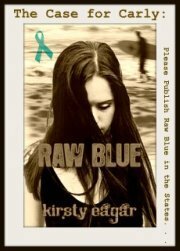 Raw Blue by Kirsty Eagar: I feel like I've experienced loving this through the enthusiasm of others. I want to read it for myself, and I have to figure out how to make that happens. 07. Larkstorm by Dawn Rae Miller: After just finishing Under the Never Sky, the plots sound somewhat similar, but I enjoyed the former so much that I still want to read Larkstorm. I want to explore different possibilities within the similarity. 08. Anything in sequential order by Cinda Williams Chima. The covers have me hooked, and I don't even know what the books are about. Which series should be read first? 10. Gregor the Overlander by Suzanne Collins: Been in my mental queue for ages, but a friend just reviewed it on Goodreads which reminded me of it altogether. And, well, it's Suzanne Collins. I'm a believer. I started this post on a Tuesday, but it takes me so long to hem and haw over just which books I should pick that it's now Wednesday. Technicalities! Note: This summary is borrowed from Beth Revis' website, as the one available on Goodreads at the time of writing was questionable. This review will contain spoilers from Across the Universe. Amy is the only human aboard Godspeed born on Earth. Elder is the only one among the shipborn that can lead the masses. Despite the differences between the two, they have one thing in common: figuring out what each other means, and reaching Centauri-Earth. But a ship the size of Godspeed harbors secrets, secrets that could change the very foundation for everything they've been working toward. And sometimes you don't know the answer you're looking for until you find the right questions. It's only fair to start off by saying that while I liked Across the Universe, there were quite a few things evident that prevented me from really enjoying it. Some of these things were addressed in A Million Suns, some were not. In the former while I had difficulty wrapping my mind around the concept of Seasons, the biggest issue was the relationship between Amy and Elder, or rather, lack thereof. There was nothing given to explain any sort of attraction between the two nor why Elder would have been watching her. While there was nothing in A Million Suns that spoke on this, it almost felt that the views and information that we were getting from the two of them allowed for a more understanding perspective of their relationship. When Amy noted at one point that she wasn't sure if they were gravitating toward each other due to them being the only teenagers on the ship or out of true attraction, I found myself nodding emphatically. For the point to be acknowledged made all the difference in my being able to accept what was happening. So, while I'm not quite sure why they like each other, their being together on some level worked much better here. My favorite part of the book is getting to figure out a mystery that we are presented with pretty early on. I hadn't any guess as to what was going on until just before it actually happened and then I found myself excited for the characters to be able to see for themselves. The part where they do is so beautifully formatted and written that I found myself smiling, trying to imagine just how it must have felt like for such a discovery. Leading up until this, and even afterwards, is the continued alternating perspective of Amy and Elder, which, personally, worked much better in espousing information in this book. Now that we have a better sense of them, it was interesting to see the decisions they made and being able to see what the other thought and their response. I think that of the two of them, I find myself liking Elder best. He's fairly level-headed and practical, but isn't afraid to do what needs to be done - but in the right manner. While Amy isn't my favorite female MC, her curiosity and intuition here serve the story well, and she and Elder balance each other out. 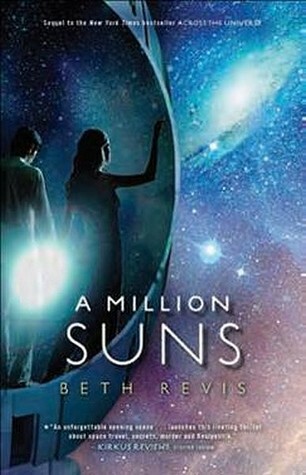 If you had some trouble with the first book, A Million Suns is definitely worth a second try. It tackles some issues you might have had, and presents a whole new take on Amy, Elder and the ship that is both interesting and quite addicting. I picked this book up and finished it all in the span of a few hours. While it doesn't end on a complete cliffhanger, it leaves you in a position where you wish you had the next installment in order to figure out what's going to happen. Hi, folks! Just writing to say that I'm definitely still here, but that school has been intense and I've had very little time in between school and work to be as participatory as I would have liked. I do have some reviews scheduled - one for Beth Revis' A Million Suns will be coming up later this week, and one for Truth by Julia Karr will be posted later this month. My finals end on Monday, so after that I will be a reading maniac and I am so thrilled about it. (I've been seriously eyeing Marie Lu's Legend at Posman's as I promised myself it will be my after-finals read; it's been soooo hard to not start it early! Dystopian? Yes, please!) There are a ton of review books that I have for this month and January, another giveaway will be coming sometime soon, and return of all the fun memes I participate in. I've missed you guys and blogging something fierce. It's a lot of work - hard work - but I love it and you. Thanks to some great Black Friday deals, free shipping, and a coupon I was able to get some books. The hardcover of Shatter Me is too pretty to pass up, and I want to support Tahereh by purchasing the final copy. (Love, loved this book.) And Shade is one I read a few months back and found the premise really interesting, and just wasn't able to get Shift until now. I've already read it and am unsure how I feel about it. I want to like it, but I have some issues. I might write a non-review post about the things it brings up. Also, don't forget my giveaway of two ebooks of Mistakes!